BEAUTIFUL 3 BEDROOM 2 BATH HOME conveniently located close to schools, parks, a golf course, and shopping. 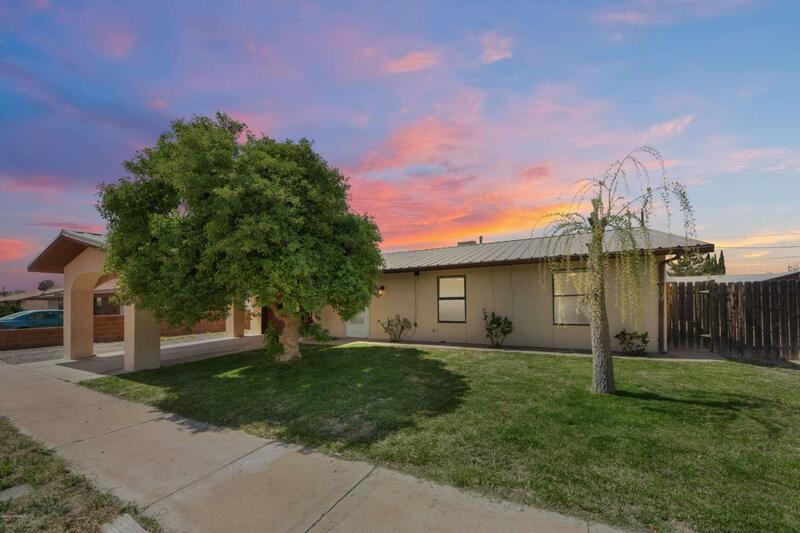 This home has new finishes, nice flooring, updated appliances, a metal roof, and refrigerated air conditioning... With all the upgrades, this home is turnkey and definitely one of the better values in the Deming market! Lots of options for parking including a garage, covered carport and side parking with gate access to the back yard. The covered patio in the back is the perfect place to relax, entertain, and take in the wonderfully landscaped backyard with a tool shed, perfect for storage or work space. Come by and see it today! Listing provided courtesy of Joel A Gilbert of New Mexico Properties: (575) 538-1487. All listing information was provided by Southern New Mexico Multiple Listing Service.